This is my recap for The Walking Dead season 4, episode 8 — the mid-season finale — titled “Too Far Gone.” Please also check out our live-tweeting session #NOCemdead, featuring me at @Reappropriate and J. Lamb through @TheNerdsofColor. Don’t get me twisted; I liked “Too Far Gone.” Moments after the credits rolled, I tweeted that this episode “rocked.” But, upon thinking a little more about the episode, I realized that it rocked despite several critical plot holes, but ones that were conveniently painted over in a wash of chaotic violence and major character death. The first major plot hole is how quickly the Governor’s new army buys his motivational speech. Initially introduced as a relatively unassuming, generally peaceable community (who wouldn’t challenge Martinez’s “this is the party survival group” philosophy), they swallow the Governor’s call-to-arms hook, line and sinker. The Governor need only tell his followers that the Prison is populated by hostile, sociopathic killers and immediately his army is swayed to commit mass murder to take the Prison. The Governor says that the Prison can be taken with a minimum of bloodshed, that they need only bluff their way in. Nearly none of them openly protest; none point out the obvious flaws in the argument suggesting a small group armed with a few guns can or should take out a fortified encampment defended by ruthless killers, or note that these complete strangers don’t deserve expulsion or death. The only one to question the Governor at all is Fake Andrea, who points out that there must be plenty of safer places than the middle of the woods that can be defended. But, again, her protests are generally whiny and lackluster, and mostly just earn her “camp defense” duty while everyone else confronts Rick at the Prison. With the tank. 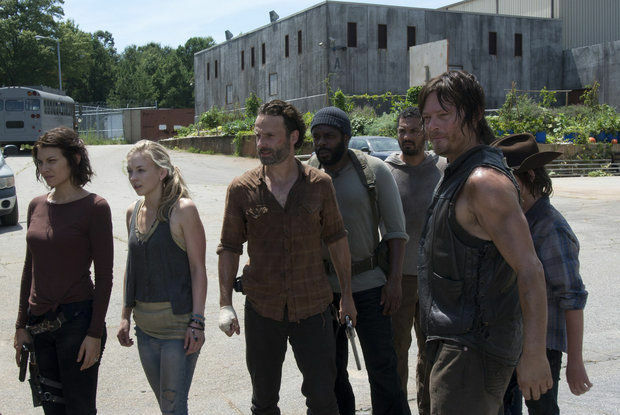 The Governor, his followers, and tank-driving Mitch, show up at the Prison’s outer fence just as Rick tells Daryl of Carol’s departure and both are about to let Tyreese know (but Tyreese is distracted by a vivisected rat). 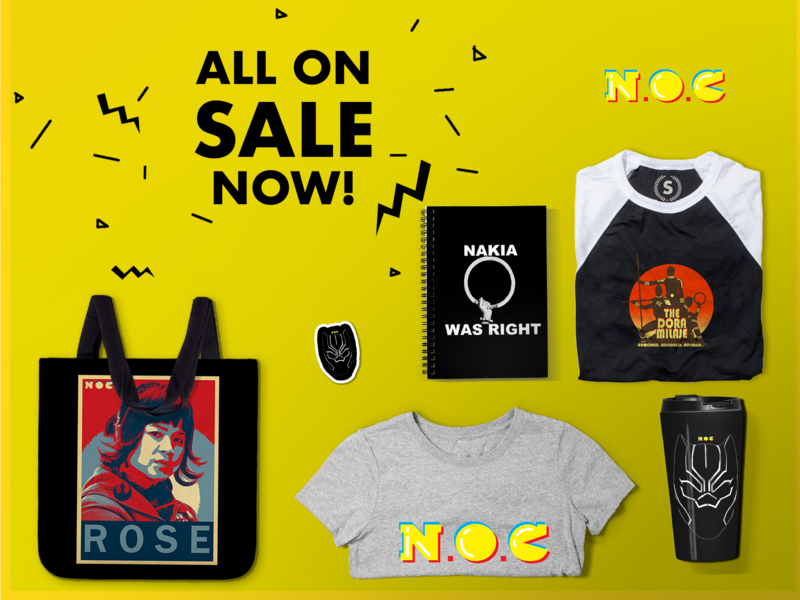 The Governor — wielding Michonne’s samurai sword — brings Hershel and Michonne out, and demands that Rick and his posse abandon the Prison or he will kill his hostages. Rick pleads with the Governor to let Michonne and Hershel go, saying “you have a tank, you don’t need hostages.” He suggests that the Governor’s group can join them in the Prison, living in another cellblock and neither need bother the other. He argues that taking down the fences will compromise the Prison for everyone. This was the point where the episode broke, plot-wise. While Rick is pleading for sanity, we can’t help but wonder why the Governor’s army isn’t quietly mutinying behind him. This is exactly the opposite of what the Governor promised Rick was — the ruthless murderer, the heartless survivor, the tyrannical ruler. Instead, it is Rick negotiating peace, while the Governor wields the sword and threatens violence. Given the theme of the Governor’s motivational speech delivered just a few minutes earlier, it’s hard to imagine how the Governor’s army can continue to saber-rattle with his lies so obviously exposed. In contrast, consider how well done the characterization of the Prison community has been over the course of this season and in this episode. After decapitating Hershel in ruthless and unnecessary bloodlust (the second vanity is why the Governor takes the time to cruelly saw Hershel’s head off, even after acknowledging that he respects Hershel? ), the Governor sends his forces against the Prison. And so begins a series of high-octane scenes and a rapidly mounting body count. Mitch plows the tank into the fences, and pins Daryl down only to have Daryl use a Walker flesh-shield to throw a grenade into the tank and drive a crossbow bolt into Mitch’s heart. Maggie pulls Glenn from the cells — he is still recovering from Megaflu and too weak to fight — and puts him on a bus, which drives away with the other non-fighters, although Maggie is left outside when she goes back to rescue Sasha and Bob Stookey (the latter who is wounded in the gunfight). Lizzy and Mika, initially given the responsibility along with the other children to protect Judith, ditch the other kids to adopt Carol’s mantra of “being strong;” they appear in the nick of time to rescue a pinned down Tyreese by shooting Alicia and another redshirt in the head. 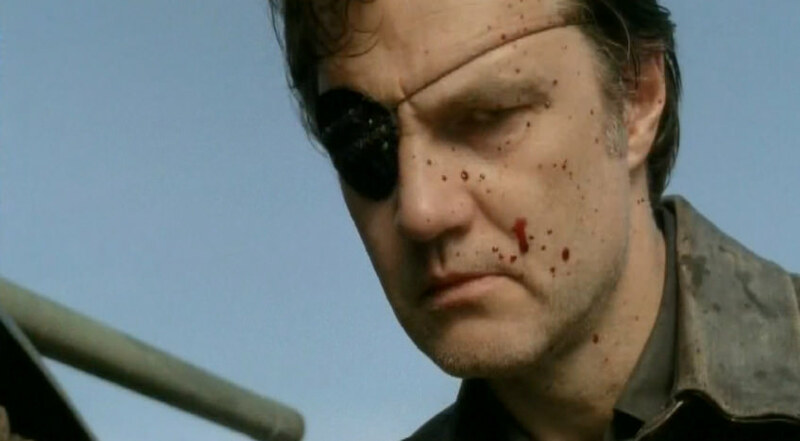 The final vanity of the episode: the Governor is dying in the mud when Fake Andrea walks up and shoots him in the head with a pistol. This isn’t portrayed as a mercy-killing (although it could have been such); it is instead portrayed as cold, angry, and perhaps revenge for the Governor’s treatment of Meghan/Fake Penny. But, why? Why would squeamish Fake Andrea — who earlier in the episode indicated a reluctance towards any sort of violence — do this? There are plenty of possible justifications, but none that are inherent to the episode, leaving Fake Andrea’s actions unexplained and kind of weirdly out-of-character. 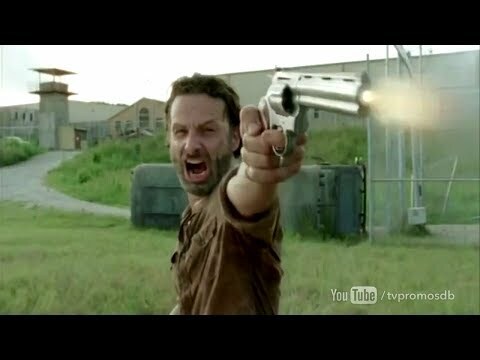 If I have one final complaint about the episode, it is the decision to kill Hershel. In retrospect, the hints were there that Hershel wasn’t going to make it past the first half of this season. The laws of The Walking Dead have established that any character who receives a spotlight episode (and who isn’t Rick or Daryl) is doomed to leave, and certainly the incredible Hershel-centric fifth episode of this season felt like a farewell. But, with Hershel’s gruesome exit, I worry that the interpersonal dynamics of the show are now off. Hershel played a critical part of the survivor group, serving as the community’s moral center and a foil for Rick. Now that he is gone, who will balance Rick’s rage with wisdom? Will Rick inherit Hershel’s peaceful equivocation, and will Carl be imbued with Rick’s anger?